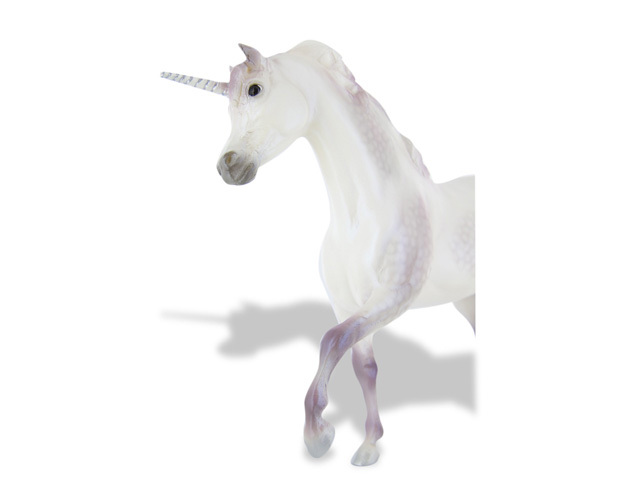 Legend has it that the home of the unicorn is at the edge of the world, where for thousands of years such mystical one-horned horses have captured mankind's imagination, but eluded capture themselves. 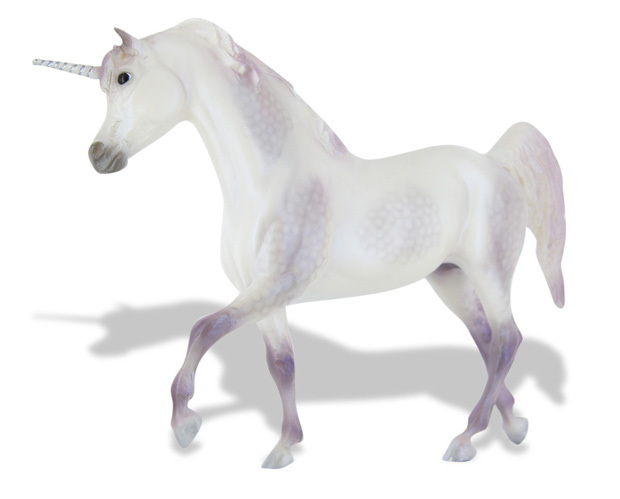 Noble, brave, gentle and strong, the untamable unicorn could be captured only by the one thing more beautiful than their self: the pure love of a girl. 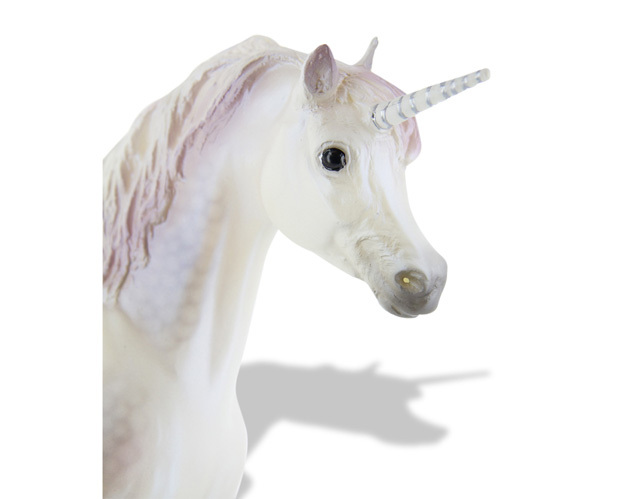 It was believed that, upon seeing a fair maiden, an otherwise shy unicorn would fall so deeply under her beguiling spell that it would lay down beside her to sleep with its horned head resting in her lap. Where a group of horses is called a herd, a group of unicorns is known as a blessing. 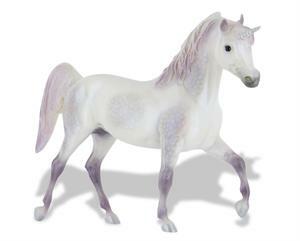 Breyer's latest unicorn features delicate grey-lavender shading and is a perfect gift for the young girl in us all.